The beauty 411: This miracle-working serum is packaged in a mono-dose capsule, so you’ve got the exact amount needed per use (as they say, “a little dab will do ya”) and contains a potent, proprietary blend of peptides and retinol. 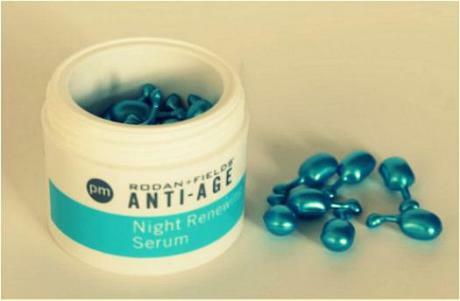 The peptides boost natural collagen production (wrinkle reducer) while increasing skin’s firmness and elasticity. And the retinol (a dermatologist favorite) enhances cell turnover (improving texture) and also helps minimize pores. But the best part is the genius time-release technology – which increases skin’s receptivity throughout the night while reducing potential irritancy (read: no more irritated skin while the retinol is working its skin magic). While the price tag is a bit steep ($89 for 60 capsules), I look at it like this: I can spend that much on a single fancy-shmancy facial that makes my skin look great for a few days – or buy this serum, use it daily for two+ months, and have amazing skin every single time I wake up. Daily complexion gratification? Yes, please! Why it’s worthy: We all know that topical skincare products can’t perform miracles (like, say, making us look 21 again). While I shouldn’t expect fountain-of-youth miracles, I do expect noticeable, effective results. Rodan + Fields Anti-Aging Serum didn’t disappoint. After only a week, my skin looked firmer, brighter, and more radiant, overall. What’s not to love about applying a capsule before bed, letting the serum work its all-night magic, and then waking up with a firmer, luminous face? (Now that’s an all-nighter I can commit to.) Bottom line: if you’re looking for a super-charged anti-aging night serum, these little capsules deliver the face-firming goods. Happy skin renewing, beauty enthusiasts! Crows’ Feet, Cupcakes, and Cellulite does not accept compensation for any product reviews. Samples may have been provided. Opinions are the author’s own.